About a year ago, when Ultrabooks were first starting to go on sale, ASUS was one of the first out of the gate with some lightweight, Intel-approved ultraportables. Since then, it's released a handful of iterations, including redesigned models with improved keyboards and sharper screens. That's a lot for a 12-month period, but there's one area where it fell behind: it tended to ignore larger-screened ultraportables, even as its competitors started selling models with 14- and 15-inch screens. That changed today, as the company announced three new Zenbooks, the 14-inch UX42VS and the 15-inch UX52VS and U500VZ, all of which will go on sale next month. Though the company hasn't issued granular pricing for each possible configuration, we know that prices in the US will range from $699 at the low end all the way up to $2,000. So what do these have to offer, aside from a larger footprint? For starters, the UX42VS weighs 1.9kg (4.19 pounds) and has a chassis that whittles down to 6mm. It makes room for an optical drive, unlike ASUS' smaller Zenbooks, and features NVIDIA GT645M graphics with 1GB of dedicated video memory. Like any other ultaportable worth its salt, it will be offered with Core i3, i5 and i7 processors, though this guys steps up to 6GB of RAM and up to 1TB of hybrid hard drive storage. Moving on, the 15-inch UX525VS (pictured) has a Core i5 or i7 Ultrabook-grade CPU, up to 10GB of memory (!) and up to 1TB in hybrid hard drive storage. The graphics card is the same 645M as on the 14-inch model. 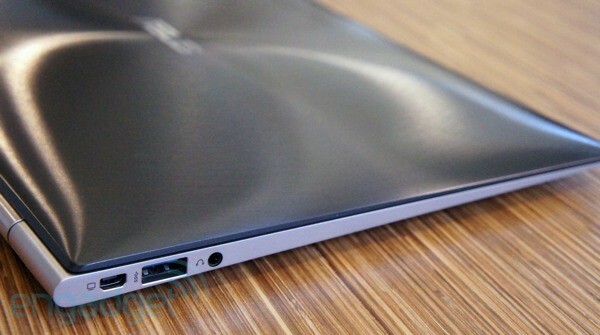 As for the U500VZ, it isn't an Ultrabook at all, as it has a standard-voltage, quad-core Core i7 processor. Other specs include 8GB of memory, a 1080p display and a beefier GT650M GPU, this time with 2GB of video memory. Despite the horsepower, though, it weighs in at a relatively light 2kg (4.4 pounds) and measures 6mm thick. Finally, wrapping things up, ASUS still plans to sell touchscreen versions of its 11- and 13-inch Zenbook Prime Ultrabooks. No word on availability for any of these, but we'll follow up with more details as they come in. ASUS expands its Zenbook line of Ultrabooks to include 14- and 15-inch models originally appeared on Engadget on Tue, 23 Oct 2012 15:41:00 EDT. Please see our terms for use of feeds. 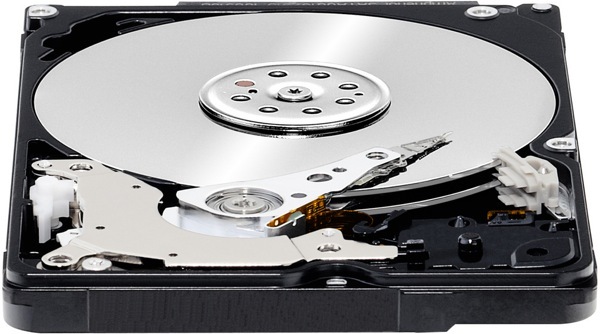 Those 7mm-thick hard drives you've seen in some Ultrabooks are already looking a tad on the chunky side. Western Digital has started producing sample versions of a hybrid hard drive (you're not yet looking at it here) that measures just 5mm (0.2in) tall, even as it crams in both flash and a 500GB main disk. If you think the slimmer drive is just the ticket for a best-of-all-worlds laptop that's both fast and capacious, you're not alone: Acer and ASUS have mentioned their collaboration in the same breath, which may be a strong clue as to where future Aspires and Zenbooks are going. The remaining question is when they arrive. Sampling isn't the same as mass production, which could leave us with months to go before the 5mm drive lands in future extra-skinny PCs. Western Digital builds 5mm-thick hybrid hard drive, Ultrabook makers sign on early originally appeared on Engadget on Mon, 10 Sep 2012 14:05:00 EDT. Please see our terms for use of feeds. ASUS is expanding its Zenbook lineup to include a larger 15-inch model. The company just announced the Zenbook U500, an Ultrabook packing some pretty robust internals. There's an Ivy Bridge Core i7 processor under the hood, along with an optional NVIDIA GT650M graphics chip and up to 512GB of storage. No word on weight yet, but the package measures 0.78 inches at its widest. The U500 also keeps in line with other Zenbooks' aluminum design, complete with the famous spun-metal lid. The 15-inch form factor gives the U500 room for a separate numpad on the keyboard (there's backlighting here, too). For storage options, you get either dual SSDs with up to 512GB capacity or the combination of a 128GB solid-state drive and a 500GB hard drive. 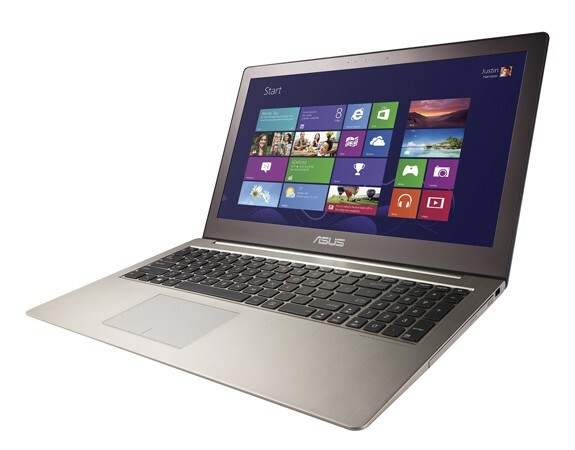 And, like ASUS' other latest Zenbooks, this machine will sport a full HD, anti-glare display with IPS technology. The company has yet to announce pricing and availability -- that info will come at the company's Windows 8 press event. Brian Heater contributed to this report. ASUS 15-inch Zenbook U500: Ivy Bridge, optional NVIDIA graphics and a full numpad (update: hands-on) originally appeared on Engadget on Wed, 29 Aug 2012 09:00:00 EDT. Please see our terms for use of feeds. Welcome to Engadget's back to school guide! The end of summer vacation isn't nearly as much fun as the weeks that come before, but a chance to update your tech tools likely helps to ease the pain. Today we're getting down to the very important business of helping you sift through laptops -- and you can head to the back to school hub to see the rest of the product guides as they're added throughout the month. Be sure to keep checking back -- at the end of August we'll be giving away a ton of the gear featured in our guides -- you can hit up the hub page right here! Given their roots -- luxury machines like the original MacBook Air ($1,800) and last year's Samsung Series 9 ($1,649) -- you'd be forgiven if you initially dismissed Ultrabooks as being too extravagant for a college-bound student. Thankfully, though, prices have sunk so low that you can now find a thin, fast, ultraportable laptop for as little as $700. The only problem, perhaps, is a paradox of choice: the selection is already crowded with dozens of contenders, and there are 100-some-odd more models in the pipeline, according to Intel. Fortunately for you, dear readers, we've had the chance to handle or even review many of them, and were able to whittle down the offerings to a handful of promising contenders. Whether you're prepared to spend $750 or $1,400, we have something that'll fit the bill. Engadget's back to school guide 2012: ultraportables originally appeared on Engadget on Wed, 08 Aug 2012 12:00:00 EDT. Please see our terms for use of feeds. Lately, ASUS has been all show and no tell, giving consumers a preview of its leaked Zenbook Prime lineup, but no solid U.S. release. So, consumers stateside eager to mark up those sleek ultraportables with fingerprint grease will just have to make do with a peak at what lies beneath, courtesy of the folks over at AnandTech. If you count yourself amongst the impatient hordes and think gawking at pre-release hardware might help get you through the interminable wait, then be sure to click on the source below for a healthy dose of splayed component rubbernecking. 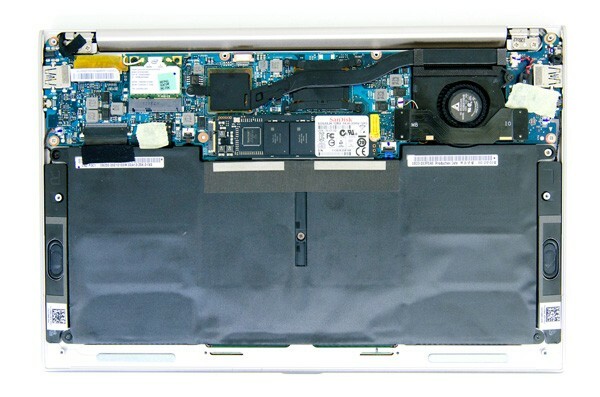 ASUS Zenbook Prime bares all in teardown treatment originally appeared on Engadget on Tue, 05 Jun 2012 02:57:00 EDT. Please see our terms for use of feeds. 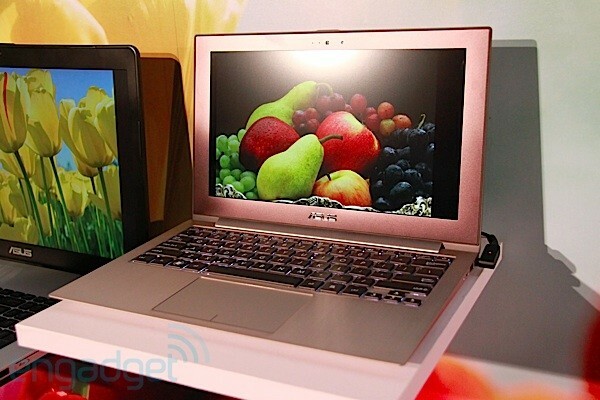 ASUS Zenbooks to get Ivy Bridge refresh, optional 1080p and backlit keyboards in tow? It was only a matter of time before ASUS refreshed its line of Ultrabooks with Intel's new Ivy Bridge chips, but the truth is, the company needed to improve a little more than just the CPU model number. If you recall, the Zenbook UX31 ushered in a modern metal design and unbeatable speed, but our enthusiasm waned after spending a week with the flat keyboard and temperamental touchpad. Well, friends, it looks like Chairman Jonney Shih and co. were listening: the outfit is about to bring four of its leaked Zenbook Prime laptops to the US. These include the 11-inch UX21A, which you see up there, along with the 13-inch UX31A, UX32A and the UX32VD -- essentially, the UX31A with discrete graphics. Though different configurations are bound to vary, they all bring retooled, backlit keyboards, refined trackpads and, of course, Intel's third-generation Core processors. And while the lower-end UX32A is stuck with 1366 x 768 resolution, every other model -- yes, even the tiny UX21A -- will be offered with a 1080p IPS display. In general, ASUS isn't ready to talk availability for these four models, and has not given any indication as to how much the UX21A will cost (it did reveal tentative prices for the other three). So these aren't shipping products you can buy just yet, but luckily for us, we got the chance to spend a few days with the UX21A. While we're holding off on calling this a review -- we need a price and final, production-quality unit for that -- we're good and ready to share our early thoughts. So what are you waiting for? Meet us past the break where photos, benchmark scores and detailed impressions lie in waiting. 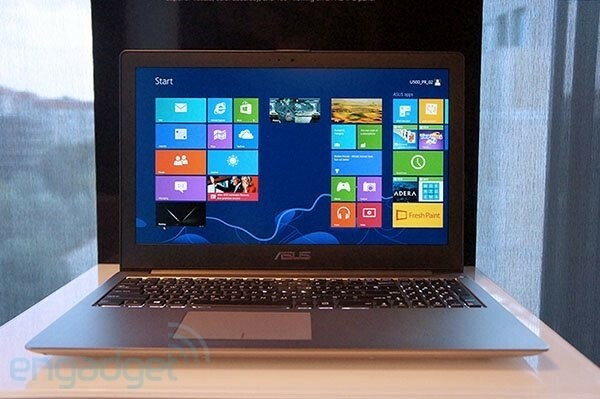 ASUS Zenbook Prime UX21A preview originally appeared on Engadget on Tue, 22 May 2012 11:01:00 EDT. Please see our terms for use of feeds. 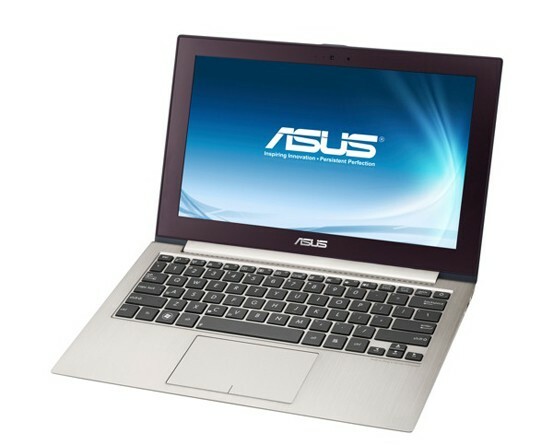 First the rumor mill revealed ASUS had plans to refresh Ultrabooks with Ivy Bridge and 1080p IPS displays. Then the company confirmed the news itself when it brought some new Zenbook Prime laptops out for a demo and promised they'd go on sale in ASUS' native Taiwan. Now we've got some splendid news for our readers here in the US: those fresh ultraportables are making their way stateside too... eventually. ASUS just confirmed it's bringing four models to the states: the 11-inch UX21A, the 13-inch UX31A / UX32A and the UX32VD. What's the difference between the UX31A and the UX32A, you ask? It all comes down to storage: the UX32A uses hybrid hard drives, while the UX31A packs an SSD. Meanwhile, the UX32VD is nearly identical to the UX31A except that it packs an NVIDIA GT 620M GPU. As rumored, the lineup includes Core i5 and i7 Ivy Bridge processors, with 1920 x 1080 IPS displays offered even on the 11-incher. (If you don't need that kind of pixel density, 1366 x 768 displays will be available as well.) Another thing they all have in common: ASUS has tweaked the touchpad and re-tooled the keyboard, making the pitch 12 percent deeper. Also, the keys are now backlit, for what that's worth. Tentatively, ASUS is saying the 13-inch variations will start at $999 with Ivy Bridge (that lone $799 13-inch model comes with a Sandy Bridge CPU). Still no word on pricing for the smaller UX21A, though we know it will be offered in two flavors: one with Core i5 and a 128GB SSD, and one with Core i7 and an optional 256GB drive. Of course, ASUS is careful to warn that these prices are subject to change, though we're presuming they're at least in the same ballpark as what you'll ultimately pay. Additionally, ASUS isn't saying when, exactly, these models will be available, but it's obvious that Intel needs to formally unveil its remaining Ivy Bridge CPUs before these laptops can see the light of day. We'll hit you back with more details as we receive them, but in the meantime head over to our preview of the UX21A for hands-on photos, benchmark scores and detailed impressions. ASUS bringing Zenbook Prime UX21A, UX31A, UX32A and UX32VD to the US, prices start at $799 originally appeared on Engadget on Tue, 22 May 2012 11:00:00 EDT. Please see our terms for use of feeds. We've already seen spec sheets suggesting that ASUS's 11.6-inch and 13.3-inch Zenbooks are being fattened up for a major update, but now Engadget Chinese has glimpsed the new devices in their cold aluminum flesh. Tentatively called Zenbook Primes, or the UX21A and UX31A respectively, they both have 1920 x 1080 IPS panels with a matte finish and excellent viewing angles (please, ignore the dumb 1024 x 768 screen-saver in the pic, it doesn't do it justice). Judging from the fact that ASUS refused to let us go hands-on in case we identify the internals, we can be pretty confident that these beauties are running on next-gen ULV Ivy Bridge processors, which -- unlike their more powerful brethren -- have yet to be formally announced. We asked if there'd be room for discrete graphics, such as one of NVIDIA's new Kepler mobile GPUs for Ultrabooks, and were told that "anything is possible." Responses were equally vague when it came to global availability, because apparently the devices are awaiting clearance from Intel. All we know is that they should be out in Taiwan in June, likely with similar price tags to their predecessors. ASUS Zenbook Primes with 1080p IPS panels and (probably) Ivy Bridge are real, coming to Taiwan in June originally appeared on Engadget on Wed, 25 Apr 2012 05:07:00 EDT. Please see our terms for use of feeds.